For the time being, HERE Maps and Drive+ cannot be found in the Windows Store, thanks to a selective bug that only affects HERE's apps. There is some good news, however. HERE Transit has just returned, and the app can now be downloaded on Windows Phone 8.1 handsets. These devices won't start to receive Windows 10 Mobile until early 2016, which gives users some time to install the app and use the transit directions provided by it. The app will not work on Windows 10 Mobile powered devices yet, such as the Microsoft Lumia 950, Microsoft Lumia 950 XL and the Microsoft Lumia 550. If you're rockin' one of those handsets, you should try out the native maps program on Windows 10 Mobile to see how you like it. Earlier this month, HERE's social media chief Pino Bonetti said that existing HERE users on all Windows platforms will continue to have access to the apps. If Bonetti is right, we should see the mystery bug fixed so that HERE Maps and Drive+ can return to the Windows Phone Store for Windows Phone 8.1 handsets. After that (time unknown), HERE Maps, Drive+ and Transit should be ready for Windows 10 Mobile. As you can see from the screenshots, HERE Transit will give you walking directions, bus and train routes, and will work out different scenarios to get you from point "A" to point "B" quickly and safely. Even Microsoft isn't paying attention to W10. Built in app MS Maps is good enough on W10! It uses same HERE database and I'm okay even without specific HERE app! Hi team. 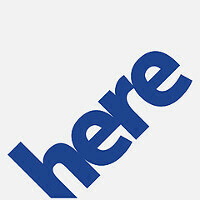 Now can use ready the Here maps and here drive+ for Wp10 build OS 10.0.10586.29. All Here apps are available on WM10 if you upgraded a phone from WP8.1 Phones with native WM10 uses Windows Maps but license from Here Maps!